A Christmas wreath is a lovely way to welcome visitors to your home over the festive season. Making your own wreath is both simple and satisfying. First, you need a wreath base. You can make your own ring from thick wire or a metal coat hanger by bending it into a circle. Then get some natural twine to bind everything to your base. For a traditional look, use lots of lush, red colours with fake sprays of poinsettia or berries, and some red ribbon. Or you could create a garden-themed wreath with berries and cones. To build your wreath, start by securing flower or foliage stems to the base using lightweight floral wire. Overlap the stems as you go to avoid gaps. Keep adding stems until the wreath base is fully covered. Wrap some twine around the stems and tie, cutting away any extra string if you need to. Now you can add decorations. These can be attached using twine. If you’re using baubles, simply add loops and then tie them on to your wreath. 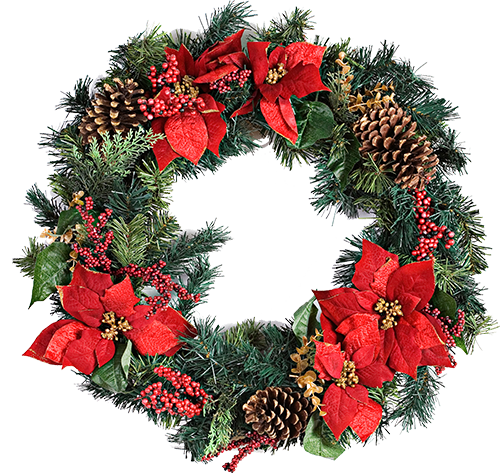 We would love to see photos of your decorative wreath designs. Please send them to creative@cosyfeet.com and we’ll feature them on our social media pages or the website.